Here is another report from the road from filmmakers Aaron Murphy and Rae Machado of Skillly Media on their journey to film Planet Community! September 27. Last week we had a great time in Ann Arbor getting to know some of the student members of the Inter-Cooperative Council at the University of Michigan. 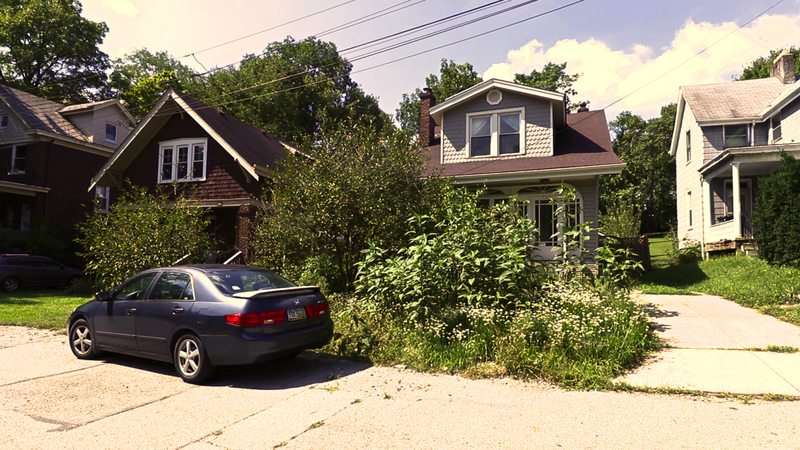 We headed next to Cincinnati, Ohio to document an urban ecovillage. Rae and I (Aaron) were particularly excited to compare and contrast our experiences at Dancing Rabbit Ecovillage, where we have been living for the last six years, to Enright Ridge Urban Ecovillage. We drove right through the heart of Cinci across bridges and finally up to the Price Hill neighborhood to Enright. 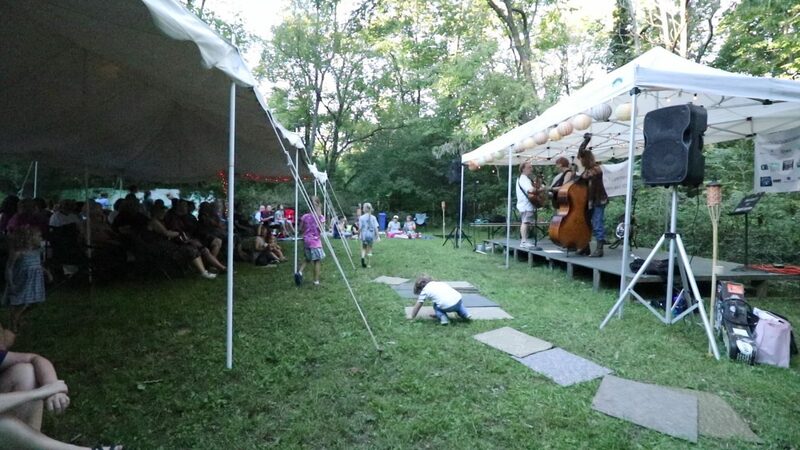 The ecovillage itself exists mostly due to Imago Earth Center, a sprawling city forest plot that serves as a refuge for Cinci folks who want to connect with nature. It seems the area neighbors did not just want to drive and bike to this well preserved city forest, they really wanted to live around it and so the ecovillage was born! The spry and sparkly elder member Ruth guided us into the backyard of the their village common house, which also acts as a functioning cozy pub, meeting place, performance space and rental housing. Founder Jim welcomed us with a huge smile and an invitation to share dinner with his wife Eileen and their resident intern, Leah. 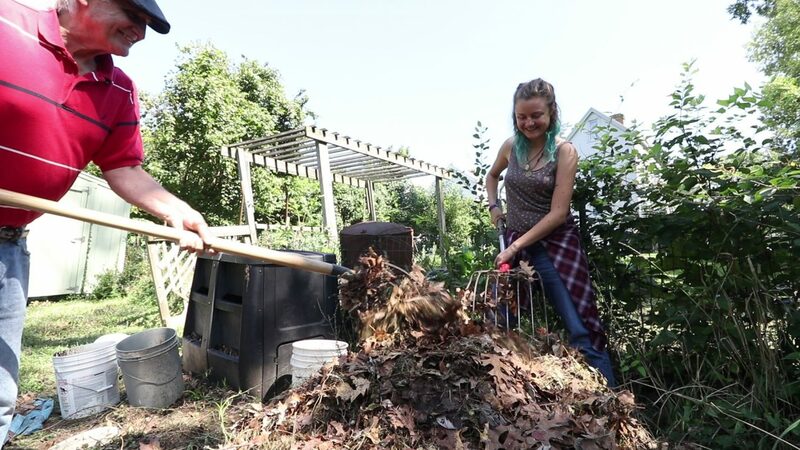 Photo below: Jim and Leah working the compost pile. Our orientation tour of the ecovillage led us through a long dead-end street and into backyards teeming with gardens and friendly faces. To the uninformed, Enright appears as another anonymous collection of neighbors. We found out it is truly something else. Instead of the typical planned village of closely situated buildings with lots of shared infrastructure, we discovered a somewhat ordinary urban neighborhood with lots of older homes and wide tree-lined streets. After enjoying the downtown Findlay Market and capturing the city skyline on video, we headed east to unwind a bit before starting our editing work. 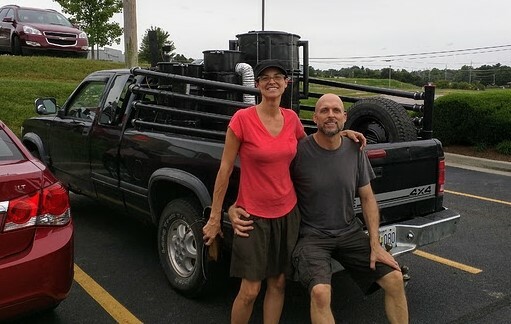 Rae and I have been in the process of converting our tour truck into a wood gasifier…..aka, so it can drive down the street fueled by firewood, and it is now ready to use after a stop in Kentucky thanks to wood gasifier expert, Chris Saenz. The take-away for me after this first tour of Planet Community is that folks who make any effort to connect deeply with people around them (especially by participating in the intentional community movement) are better able to access a wide range of human needs: healthy food, casual and positive social interactions, safe and affordable housing, more time for personal growth, a deeper connection to the seasons and the natural world, and much more.